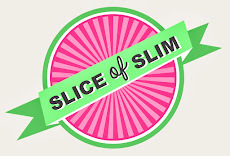 Slice Of Slim: FOOD FOR THOUGHT : Beware of Propoint Maths! I have so much to thank Weight Watchers for. It's the only weight loss system I have ever tried that is so much more than solely being about losing weight. I have learned about my own eating habits, my lust for food and the fact that I don't seem to have a natural 'stop' button. With the tools and knowledge provided, I have learned to control that and make the plan work for me and my lifestyle. This is the first time in my life, having lost weight, that I am confident I will never put my lost pounds back on. Although I've been maintaining my weight loss for over 4 years now, I am still religious about calculating the Propoints of the foods I eat. For those of you who are new to the plan and as a reminder to those of you who are not, I just wanted to chat to you about something that took me a while to realise and can cause great confusion. It can also lead to failure in your weight loss or maintenance efforts if you don't know about it. Maths has never been my strong point...and Propoint maths can be very confusing for the following reason. Quite often, a food such as the Weight Watchers sausages above, calculate to 1pp for 1 sausage. However, multiples of some foods may not go up in obvious increments and if you put a second one into your calculator, you will find that 2 sausages come to 3pp. I find this is very common with WeightWatchers products because they pack as many ingredients into their products to make them the best they can be for their Propoint value. So, if you were able to do a really accurate calculation, it may actually be 1.4pp for that sausage which equates to 1pp, and 2.8pp for two sausages which equates to 3pp when rounded up. I hope this makes sense to you. It's the same with their cookies. Even my beloved Warburtons Squareish Wraps fall into this category. ...or the WeightWatchers website, to make sure that you know the accurate propoints of the foods you're eating, especially when you are eating multiples of the same foods. It is amazing how quickly a few slip-ups can add up and sabotage your efforts without you even realising. Of course, sometimes it can work in your favour by being less propoints for 2 of the same so then 3+3=5! One of my missions is to try to get WeightWatchers to put this message clearly on their packaging....I mean, how many people eat only 1 sausage? We're all going to want 2 aren't we? !